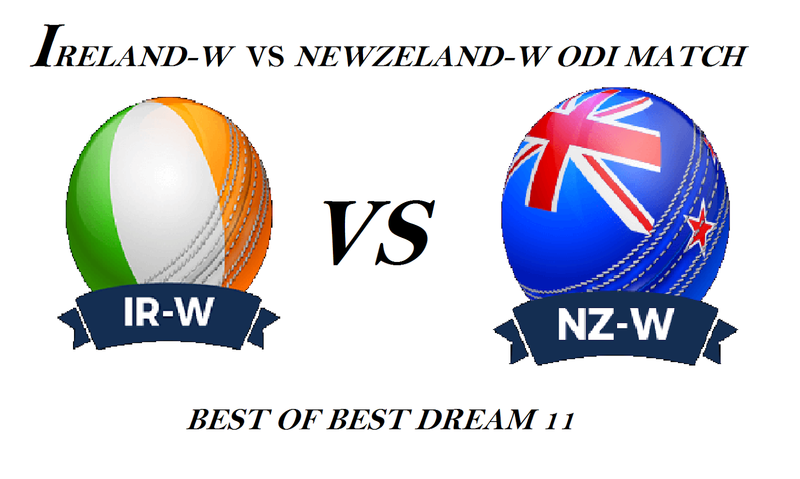 Welcome to our " BEST OF BEST DREAM 11 " FOR '' IRELAND WOMEN VS NEW ZEALAND WOMEN T-20 MATCH, dream 11team FOR first oneday match. 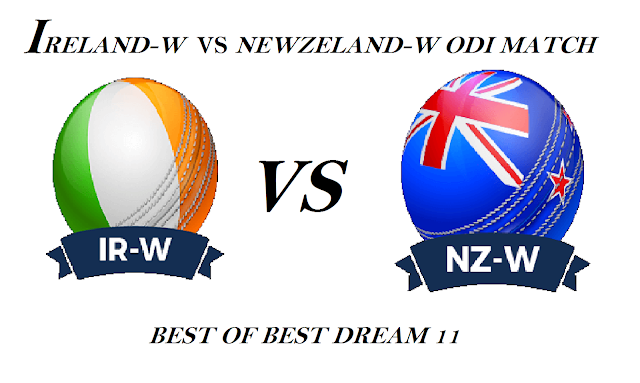 Here is best IRE-W VS NZ-W dream 11 team for the fantasy user who are looking to make a strong team for maximum win.We are providing latest news ,match update,information about the match. 1- NZ-W CAPTAIN SUZIE BATES MAKE 63(29BALLS) RUN AND WATKIN MAKE 77(38BALL) RUN IN THE FIRST T20. 2- KASPEREK TAKE THREE WICKET(3-25) AND TAHUHU TAKE 2 WICKET (2-22). 3-GH LEWIS SCORED 61(45BALLS) FOR IR-W AGAINSI FIRST T20.